Our twist on a classic line - if you make it, they will come! Our chef has created a series of often-requested specials - give one a try! 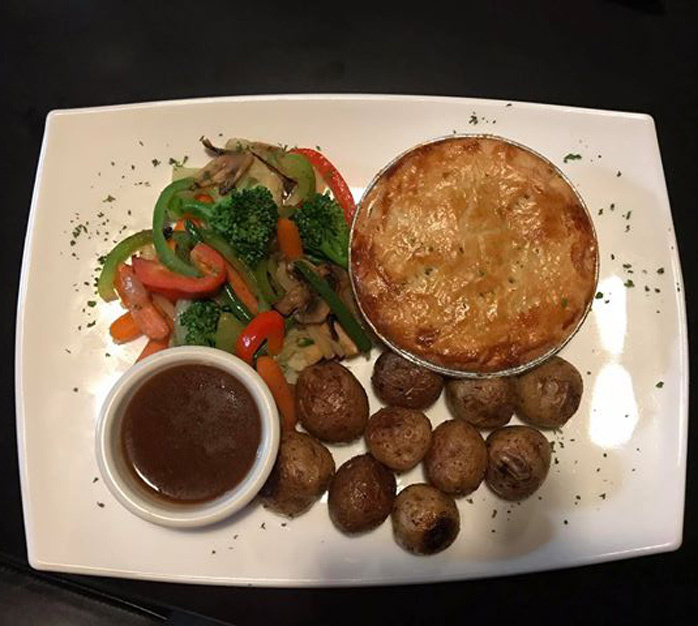 Meat pie with sautéed vegetables and roasted potatoes. 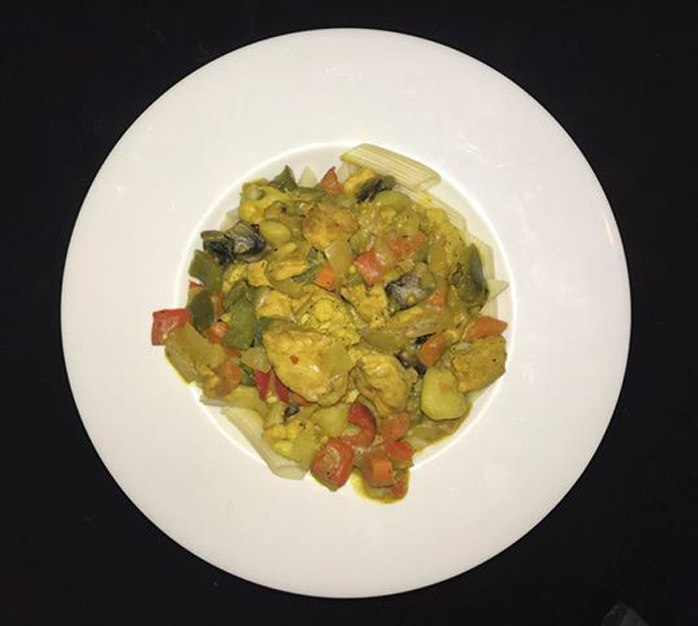 Curried vegetables and chicken on a bed of penne pasta - ask to substitute for rice.